Publipt is one of the most trusted genuine paid to read e-mails (PTR) website started on 2005 and it can be called as Get paid to (GPT) site, as it offers multiple ways to earn money. The specialty of publipt is they pay you in euros(€), because its an European company. Euro has more value than dollar so, you can earn 150% more compared to working in sites that pays you in dollars. The unique facility in publipt is you can earn without working by setting the given url as home page and there is no limit in earning per day, you can make money as long as your PC & internet connection is switched on. Other than that publipt pays you for watching videos, clicking ads, surfing, referring others, subscribing etc. Publipt pays you commission for up to 6 level referral. Registration link – Publipt, click to register. Once you go to the home page enter your e-mail in the given box as shown above and click continue. You will receive a verification e-mail as shown above. You have to click the verification link to access the registration form as shown below. Fill that to sign up. Choose your desired user name, your e-mail will be displayed automatically. Select receive paid e-mails through both site inbox and e-mail inbox. Only then you will be given remainder when paid mail is available. Enter your personal information and your residence information. Lots of categories will be available there. 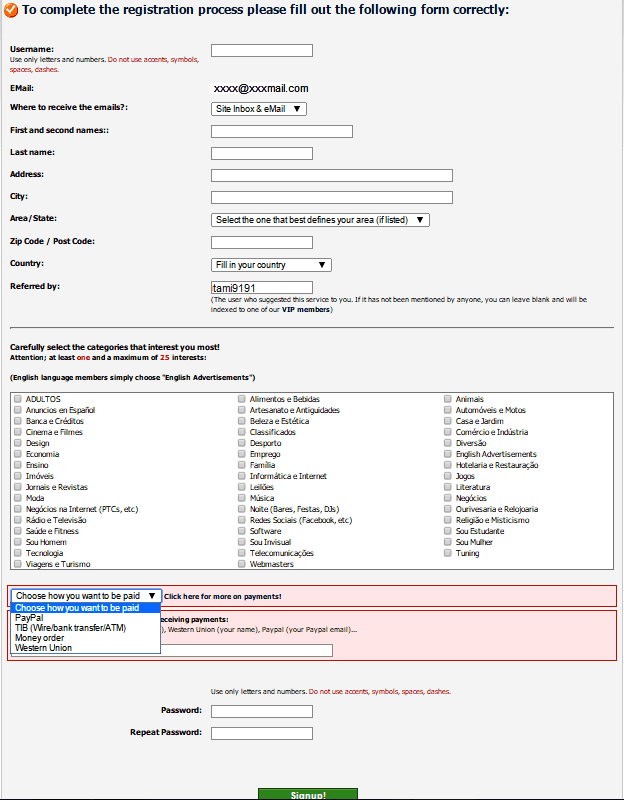 Select any 25 categories in which you would like to receive paid mails. Choose the payment method and enter your payment processor e-mail ID. Choose the password of your wish and click submit. Remember your user name and password which is required for future login. Publipt offers several ways to earn money, let us see the various ways to earn money. The main task in publipt is get paid to check mails. Publipt will send you paid mails to your inbox or you can check your site inbox for available mails. After opening the e-mail, click the link that is available as indicated in the above picture to get paid. The allotted credit will be automatically added to your account. You can get from 40 – 300 points for reading a e-mail. Publipt pays you for setting the home page using the link provided as shown in the above picture. By setting home page you can earn up to 72 points per day. You can easily set the homepage by dragging the link given in between the green lines or set manually using the the link given as shown below. In firefox you can see the home icon as shown above. Just click that home icon and copy paste the given link and click ok. In Google chrome go to settings > set pages and paste the copied link and click ok.
Every time you connect your PC to internet the browser homepage will load. Follow the rules, leave as it is and continue with other work. Click your account > earn by watching videos to browse the available videos as shown above. Click on the video watch it till the time allotted and close the page. Your account will be automatically credited with the points. 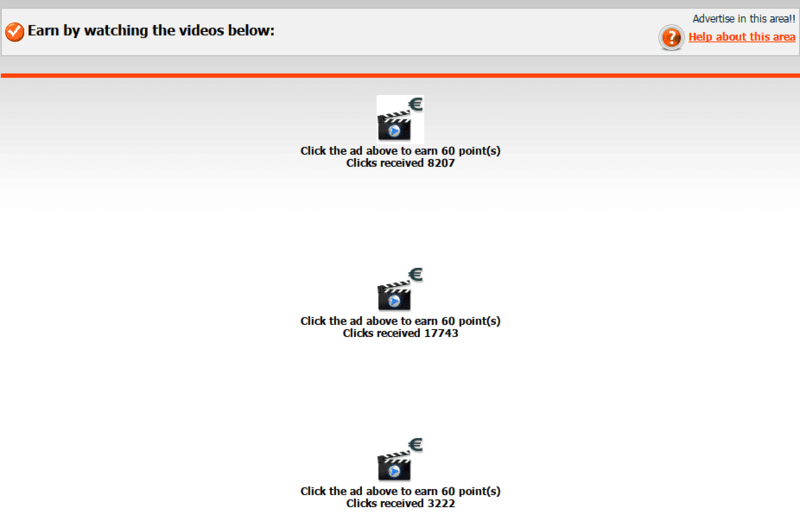 Publipt pays you 60 – 200 points for watching each video. Paid to click is a very famous phrase in online jobs. Simple, you will be paid for clicking ads. 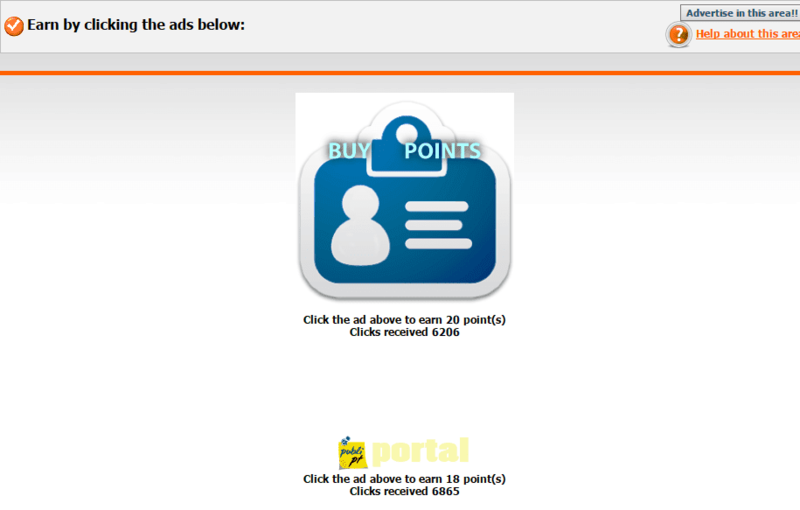 To see the available paid ads as shown above click your account > earn by clicking. Click on the picture. The advertisement will open is a new tab. Wait in the page for the allotted time to get paid. Close the page and continue clicking other ads to earn more. Surfing is similar to paid to click ads, but here you don’t have to open and close the page each time. You just have to click my account > earn by surfing. Advertisement will open in a new page as usual and you will be paid 1 point per advertisement. You have to match the number that is displayed above by clicking the correct one among the series of numbers. After clicking it a new ad will load in the same page. Follow the same procedure. The stay time will be less like 10 – 15 seconds. So, if you get 6 points in a minute you can earn 360 points per hour. Subscribe to the recommended site to get paid. You can earn up to 500 points for subscribing. Just click the link they ask you to. Subscribe using your e-mail ID. Copy the code and paste it in the given box. Your account will be credited once verified. You can win 200 points per day by participating in the click contest. Click the ads displayed under the click contest menu. One among the members will be paid 200 points in random manner. If you actively participate in that contest daily you can surely win click contest. For clicking each ad you will get 1 point in additional. Refer people to publipt and earn more without working. Publipt pays you commission for up to six levels. 1st level commission 10%, second level commission 5%, third level 3%, fourth level 2%, fifth level commission 1%. So you will be paid 10% commission from direct referral’s earnings, 5 % commission from direct referral referral’s earnings and goes on. For example if you can earn €5 per month. 10 direct referral = 10% commission of €5 per referral = €5 + €5. Your earnings = €5 + €5 + €25 = €35 / month. Your earnings = €5 + €5 + €25 + €150 + €1000 + €5000 = €6182. So, now you can understand the power of referrals. But we should not except everything to work as it is. At least we must try to achieve 10% of what we plan by aiming 100%. So you must accumulate 5000 points to get 1 euro. Publipt pays your earning through Paypal, western money transfer all around the world and through money order, wire transfer, bank transfer in selected countries. The minimum cash out is €30, so you need at least 1,50,000 points to withdraw your money. Initially making money will be very tough, but if you work without giving up you can make some considerable amount of money. Click here to register – Publipt. Tags: registration | working procedure Publipt site, Genuine paid to read e-mail jobs.